Rock On 2 Trailer: The official theatrical trailer of Rock On 2 movie is going to release today at a special high-octane event in Mumbai. The filmmakers have decided to unveil the promo clip in a live grand function at Bandra’s Carter road’s iconic Amphitheatre. Based on the theme of the film, the makers are organizing live concerts across the nation to stand true to its theme. The Rock On 2 official trailer has been planned to release in an open theater on October 24, today. So far, a teaser and some songs have been released. Check: Bigg Boss 10 Live Streaming. The makers have been treating their audience with soulful songs via the concerts. Thus, they have already garnered a large audience. The teaser was a full package filled with emotions, friendship, and music. However, it kept itself away from revealing much about the flick and the story. Thus, the makers have left us to wait until the Rock On 2 theatrical trailer releases. It is the much awaited musical extravaganza. The Rock On 2 trailer will be released on the official YouTube channel, Facebook pages, and Twitter handle. We will update it here as soon as it comes out. So, stay tuned. 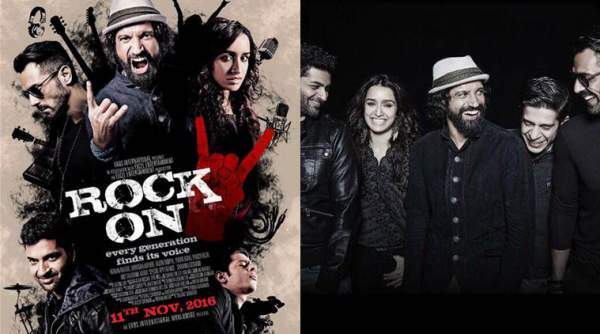 Directed by Shujaat Saudagar, Rock On 2 releases date is finalized on for November 11. Stay tuned to The Reporter Times for latest entertainment news and updates around the world.